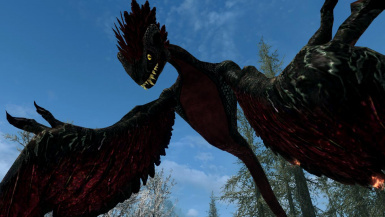 Basilisks are horrible flying chimeras resembling giant poisonous serpents with feathered heads and wings, a giant scorpion-like tail and a paralyzing spit, created by powerfull alchemists, commonly on Valenwood. 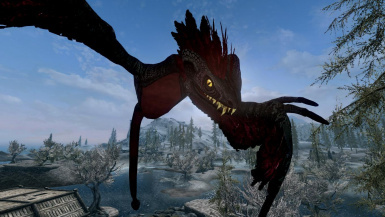 -In respect to the immersion of the players, what is my main modding philosophy alongisde the ideal of make all my assets open source, you are not allowed to change drastically the lore (official or created by me in an immersive way) in The Elder Scrolls universe for the assets you are using. This means that you are not allowed to create completely different lores for a creature i released, changing its nature, species name, attacks, animations, basic loot, spiritual alignment, and specially origin. This is not only a rule, but an adivising of good sense to you, since users do not like to have in their gameplays mods that cause immersion conflicts between themselves. 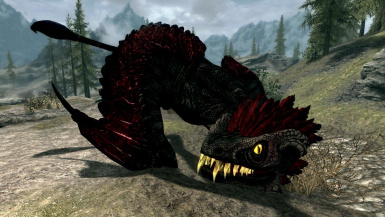 Obviously you can give an unique name to a creature of mine, and a special unique origin to it, but still respecting the origin and concept of the species, for example. You are not allowed to pick my Wampa assets and call him Weregoat for example, or Abominable Snowman, but you can use them in your mod lore as, for example, the beast of Coldwind Catacombs, that would be the name the people in the region gave to the beast, but it's still a Wampa. 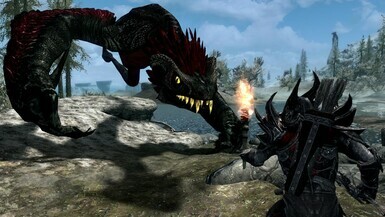 - I don't support translations of my mods, including the ones linked on my original mod pages, so, please, if you are translating my mods, first, I thank you a lot, and second, please maintain it actualized, third, allways put the original mod as requirement. And if you'are searching for a translation of a mod of mine to your language, check first if the version of it is actualized, and the same version of my original mod. 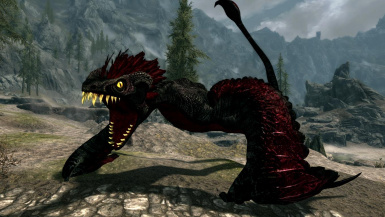 First mentioned on the "Pocket Guide to the Empire", Basilisks are horrible flying chimeras resembling giant poisonous serpents with feathered heads and wings, and a giant scorpion-like tail, created by powerfull alchemists, commonly on Valenwood. The process is clouded in mistery, but is known that they born of eggs laid by male snakes consorting with other male snakes. The egg must be incubated for forty-four days by a rooster, which is devoured by the little beast as soon as it hatches, but certainly the process is much more complex. So, as you can see, the process is exactly the opposite of the one used to create cockatrices. 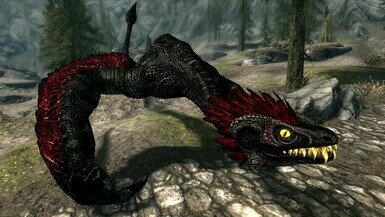 Legends tells that Basilisks hates everything that lives so fiercely that its glance turns the living to stone and that only a bold adventurer with a mirror can deflect its deadly gaze and defeat the beast, but this are just legends, but based in a fact, the venon spited by Basilisks not only poisons you, but also paralize their victim. They also do not shun direct fights, in which they strike furiously with wing and tail in an attempt to exhaust their foes. The wings have enormous spurs that are very poisonous. Bites are also dangerous, due to their poisonous sharp teeth. But their biggest weapon are the scorpion like tail, with a specially venomous poison on the stinger on the end of the tail. 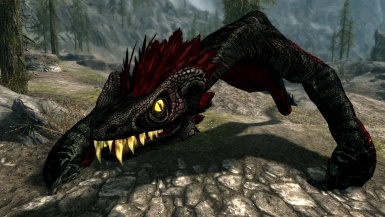 They are smaller and weaker than a dragon, and slightly smaller and weaker than a Griffin too, but are very fast on air and land. 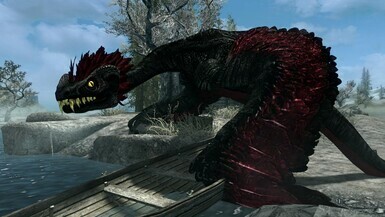 They occur commonly in Valenwood, created by bosmer alchemists, but they can be encountered in skyrim too, specially in the swamps of morthal.